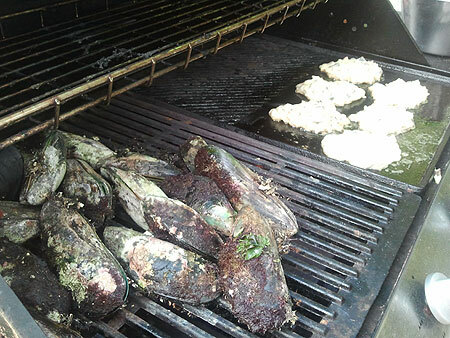 Fine golf, fine seafood, fine folk all packed into 2 days of fine fun at The Island. Our reporter Tab Lloyd was there along with photographers Len Skap and Amby Entlite and statistician, the common Deano Minator to bring you all the happenings that occured over this memorable weekend as players vied for the covetted Two Taniwha trophy. 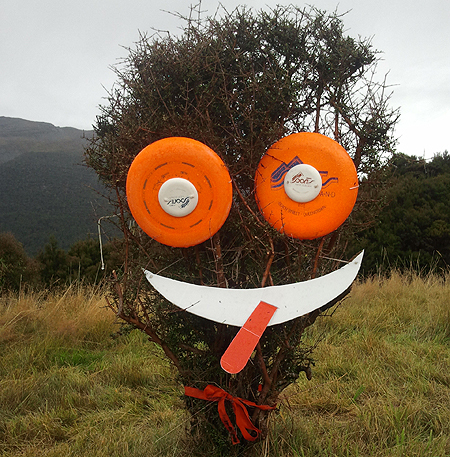 Another great Disc Golfing weekend deep in the alpine environment of New Zealand's Southern Alps. 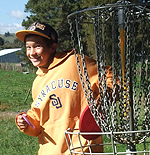 TD James Smithells relates the story for us along with results and pics courtesy of discgolf.co.nz photographer Len Skap. 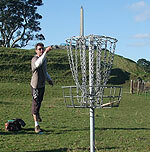 Manunui Polo Cross Grounds Disc Golf Course, Taumarunui - April 14 & 15 2012. An NZDG Major. Beautiful weather, great people. We were there and had a ball. Site photographer Len Skap & friends got some great shots and our correspondent made notes along with some observations over the 4 rounds. Although the Seasons have officially changed it seems irrelevant as the weather continues to impress across the tour events that have occurred so far in 2013 and Taumarunui was no exception. Beautiful weather greeted a large group of players coming from far and wide. What a weekend to chuck the discs in the car, bike on the back and head to the action hot-spot of the North Island to catch up with a bunch of like-minded friends. Brilliant, just brilliant! 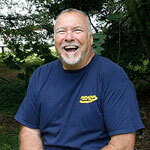 Word just through that New Zealand's very own Bob Gentil has been inducted into the Disc Golf Hall of Fame! Well done Bob, and to Kiwi-resident golferJuan Unda for starting the ball rolling on Bob's nomination back in 2011. We can now let you see the web page we built as part of Bob's nomination. 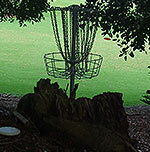 With New Zealand's very own Bob Gentil recent induction into the Disc Golf Hall of Fame in America. there has been a bit of media coverage back home, including this clip on TVNZ's Morning Show where Bob explains the sport and shows host Hottie some putting techniques. This sweet Harcourt Park Disc Golf course deserves its place on the NZDG annual tour and thanks to Levin’s Brotherhood of Disc Golf we had a fantastic tournament with over 30 players competing for the sweet as trophies and it was the senior (and regular) players that came out top! 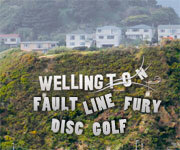 The 2012 Christchurch Fling featured some of the best players from around the country, including a leftie looking to take out his first Tour event - was Auckland's Brad Muir able to do so? Find out here. What a terrific weekend of Disc Golf! Competitor Chris "Mobius" Davies was there and has filed a great report for us to enjoy. Set under the gaze of the snow covered mountain caps of National Park in the centre of the North Island, this course gets better every year. Always a good one for the Ace Kitty as well just ask the $300+ richer Blair Joines. Talk about testing conditions; we had it all. Heavy rain, showers, drizzle, screaming gale, steady breeze, light wind, cloudy, overcast and even a bit of sunshine. But we still got a big field and plenty of great Disc Golf for the 8th Annual Auckland Disc Golf Champs in the beautiful Monte Cecilia Park. As expected the course was divine, the level play was worthy and the company great. 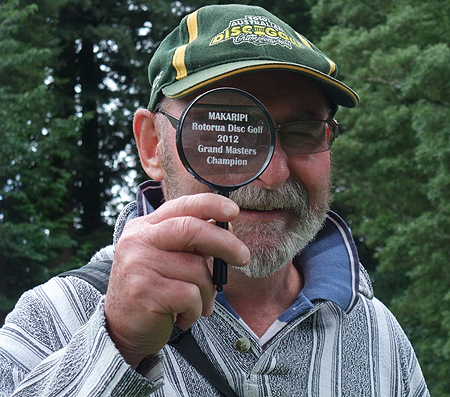 It was the 2012 NZDG Match Play Championships on the private Feasey estate Disc Golf Course at Bella Rakha in Waitakere City.